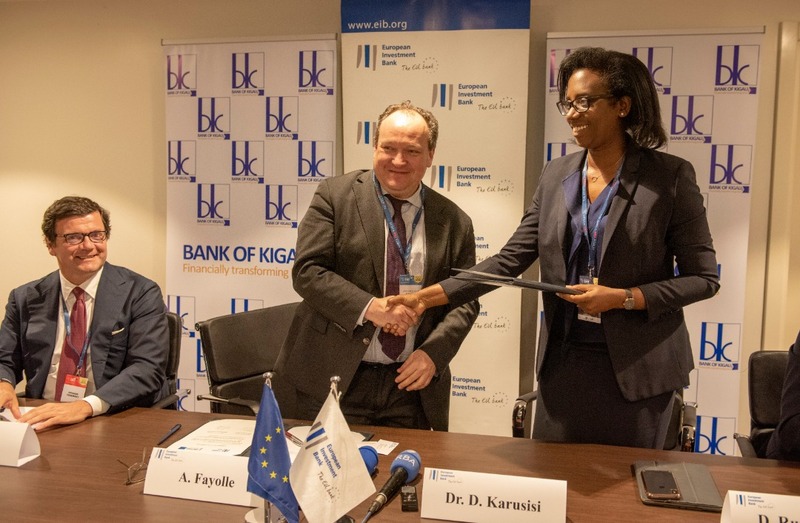 BK Group Chief Executive Officer Dr. Diane Karusisi and Ambroise Fayolle, Vice President of the European Investment Bank signing the agreement. Bank of Kigali (BK Group Plc) has entered a deal with European Investment Bank (EIB) to finance several business investment in Rwanda. The deal, signed on the margins of the ongoing Africa CEO forum in the capital Kigali, will see EIB dispatch Rwf30 billion to support investment by Rwandan firms engaged in a range of productive sectors. The bank is a long-term lending institution of the European Union. 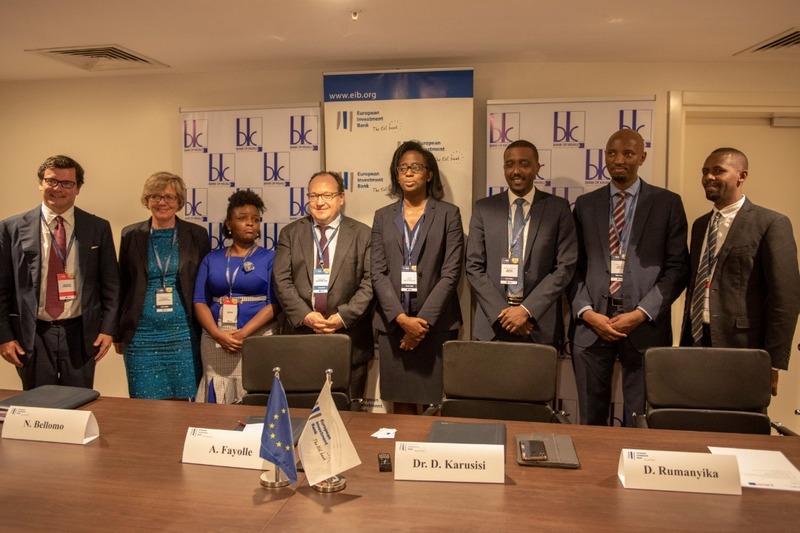 The agreement was signed by BK Group Chief Executive Officer Dr. Diane Karusisi and Ambroise Fayolle, Vice President of the European Investment Bank. 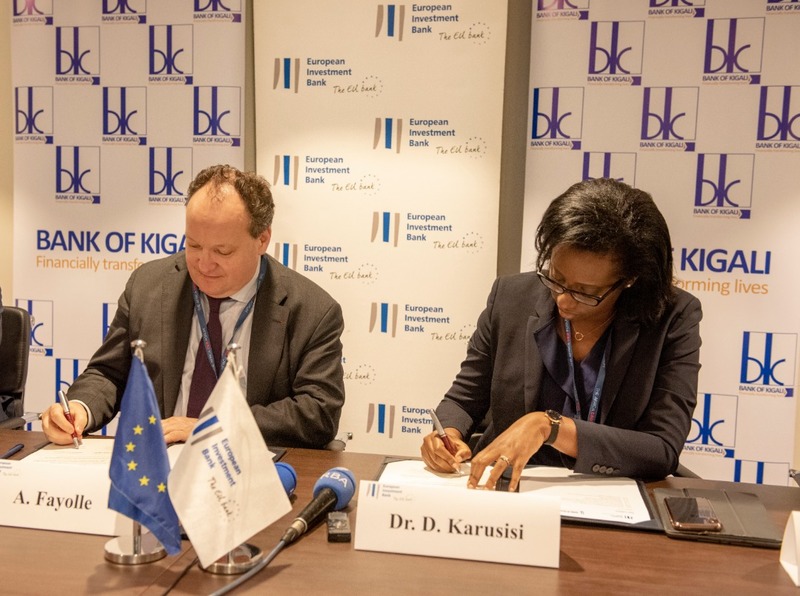 “We have found the right partner in European Investment Bank to ensure that financing is not a bottleneck to creating a vibrant private sector in Rwanda,” Dr. Karusisi said during the signing ceremony attended by senior officials from both banks. “BK is committed to serving business communities with the best banking solutions and this is yet another milestone towards that commitment,” she added. According to officials at the signing ceremony, the new European Investment Bank backed credit line is built on this proven success and represents the first dedicated support for investment in foreign currency. The new private sector initiative includes a dedicated regional Rwf5 billion technical assistance programme – allowing best practice learnt from private sector schemes elsewhere to be shared with Bank of Kigali and its beneficiary companies, BK officials said. The agreement will also include training to improve banking and credit risk management, environmental and social best practice and sector specific skills such as agriculture value chain financing, among others.